Join us in lifting up the special-needs community. Bringing the love of God and hope in Christ to special-needs families through support, encouragement, inspiration and community. In 1997, Jeff and Becky Davidson welcomed their first born, a little boy, into the world. They were filled with all the joy and hope that any parent feels upon the arrival of their child. They named their son Jonathan Alexander Davidson, and they dreamed of what his life would be, where he would go and what he would do to change the world. They hoped he would be a good man, an influencer, and a true success in the eyes of the Lord. As is often the case with God, their dreams are coming true in ways they never could have imagined. As Jon Alex grew, it became increasingly clear that he had significant developmental delays. In time it was revealed that he would actually live a life with profound disabilities including cerebral palsy, autism, and epilepsy. The reality was that Jon Alex would never speak, walk, or live independently. While this was a crushing blow to the Davidsons, it did not mean that their son's life would not have meaning or purpose. The vision for Rising Above Ministries was birthed through the Davidsons' experience raising Jon Alex. They quickly came to realize that the needs of many special needs families were not being met by their local communities or the church. Most disturbing was the fact that many of these families often felt excluded and unwelcome in the traditional church setting. As a result the Davidsons began to dream of a way to bridge this gap. In the fall of 2005, Jeff and Becky along with some friends launched a monthly worship service for families of individuals with special needs in their hometown of Cookeville, Tennessee. Soon, the local ministry was providing faith-based support groups, weekly Bible studies, and regular family outings and activities. The following year Rising Above held its first Easter "Eggstravaganza" in a local park. Hundreds of people turned out from all over Middle Tennessee. With sixteen egg hunts modified for various special needs, unique games, fun activities, and entertainment for all ages, the event demonstrated the overwhelming need to reach out to families with special needs. As the ministry grew, more and more projects followed. Other signature events were developed including the annual Heroes' Ball, summer storytime, fall festivals, host-site for the Tim Tebow Night to Shine, and a host of other monthly activities were created, all specifically designed for the special needs community. In 2010, God gave Jeff a clear vision and calling to expand Rising Above to a national ministry. Jeff and Becky stepped out in faith to devote themselves full-time to the ministry. Rising Above began producing small group curriculums for parents of children affected by special needs. These curriculums are now being used in churches and groups around the world. It was an earth-shattering loss when, in May of 2017, Jeff passed away unexpectedly. Jeff lived his life in service to the special needs community and even now his message continues to impact families. His legacy lives on in all that Rising Above does. After his death, Becky courageously took over the leadership of Rising Above. Rising Above now hosts several national retreats and events such as By The Brook, a retreat for moms raising children with special needs and SOAR, a men's weekend experience for dads of children with special needs. They also host Two-Gether, a marriage retreat and workshop for couples raising a child with special needs. 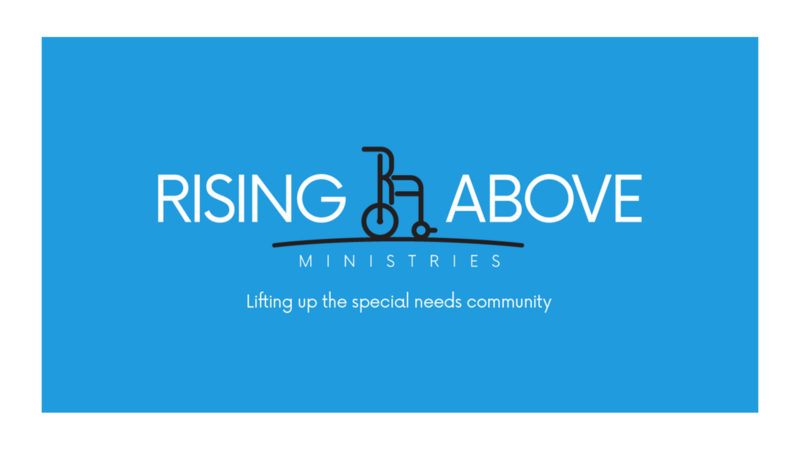 Rising Above offers For Jonathan's Sake workshops and training events to help churches develop and implement a special needs ministry as a part of their overall family ministry activities. This effort is an absolute passion of the ministry because of the incredible potential to impact families who so desperately need a Christian community. Rising Above is expanding its online platform to include small group discussions, online Bible studies, and virtual events (available for download) which are so helpful for families who have difficulty accessing traditional services. In addition, a number of online resources and tools are being developed to reach special needs families wherever they may be by providing a thriving online community. The Davidsons could never have imagined that out of such heartache God could destine so much promise. Even after the loss of Jeff, Becky and Jon Alex continue the work of building what God started. Sometimes we must simply trust the Lord and take the next step.